What is happening in downtown Greeley? There are a lot of changes in the works—including a new fire station, downtown hotel and relocation of City government offices. City Center Phase I construction is underway and coming out of the ground. Construction of Fire Station 1 is complete and already making an impact on downtown. The new downtown hotel is open for business. City Center construction is moving ahead quickly. 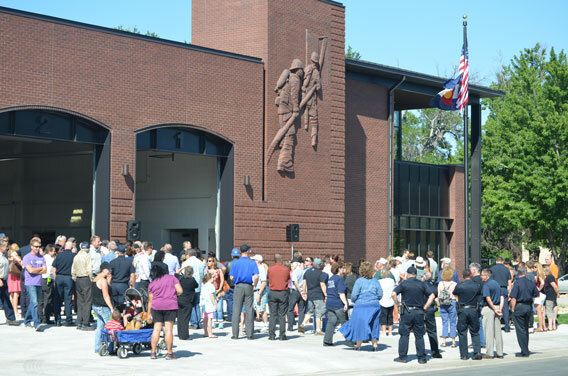 On March 31 the City of Greeley partnered with Greeley’s Hensel Phelps Constructors to celebrate the construction launch for the first phase of City Center, Greeley’s new City Hall. Since the ground breaking, crews have installed the elevator shafts and concrete pads. Steel girders are going up now giving residents a feel for the magnitude of this new municipal building. Learn more about the groundbreaking on the City's Manager's blog. Construction of Fire Station No. 1 is complete. The new Fire Station No. 1 and department administration headquarters includes a large apparatus bay, weight room, training areas, staff dorms (for on-duty fire fighters) and administrative offices. 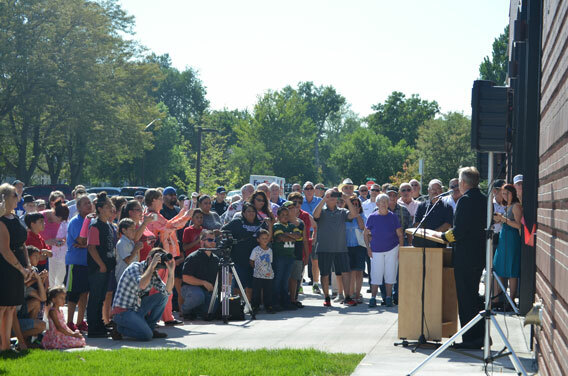 Below are photos from the ribbon cutting held on August 18. Taxes will not be raised to make the payments. It is much like a lease-purchase agreement, where “rent” payments are made and when the lease is up, the renter owns the property. The City successfully used this form of financing on two other occasions: acquisition and construction of Boomerang Links golf course and irrigation improvements at Highland Hills Golf Course, as well as construction of the Events Center at Island Grove Park. The City has been actively engaged in the redevelopment of Greeley’s downtown. One aspect was the development of the new hotel and conference center in a prime location that made sense for significant economic improvement for our downtown. At the same time, the City analyzed the number and types of buildings occupied by City administrative offices. If City offices could be reasonably combined, surplus buildings or the space they occupy could be made available for various private redevelopments such as a hotel with conference space. In 2015, the City issued a “Request for Proposals” for one of the surplus City buildings (Lincoln Park Annex block). This request attracted some strong proposals. After analysis of the proposals and discussions with the developer, the architect and others, it was decided to pursue a development agreement. That agreement was finalized by a city council vote on April 5, 2016. With the signing of that agreement, a number of projects within the bigger downtown development and City office location picture have come together—meaning that City offices were moved to temporary quarters so that the block could be used for the hotel and conference center construction. City funds secured with broad base of taxes and fees from project (priority debt repayment). 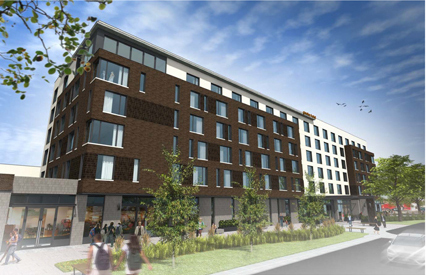 With so much progress being made on the hotel project planned for the Lincoln Park Annex block, it became apparent that the City’s office consolidation plans must be accelerated along with plans for a new fire station. The City intends to move City Hall from its current location within the next few years combining several administrative office and City Council space needs into one Municipal Campus on the same block as the City Hall Annex (1100 10th Street). The City has acquired land on that block in order to build a complex to consolidate the five separate downtown City Office buildings into a single campus and replace the old Fire Station #1. There are several advantages to this. First is the customer service improvement that residents and others will experience by only having to visit one location to take care of City government business. It will also help the City modernize technology and work space proximity which gives employees better interaction and equipment for enhanced efficiency. The move will also free up a significant amount of downtown real estate to allow for private development, such as the new hotel and conference center. Phase I of the building, now under construction, will house Municipal Court, the IT Department, Council's Chambers, GTV8, central records storage and the Water and Sewer department administrative offices. A possible City Center Phase II could include all remaining offices currently located in City Hall and the City Hall Annex. • Groundbreaking and Construction - a groundbreaking event was held on March 31, 2017. Construction has begun for Phase I of the City Center Municipal Campus. 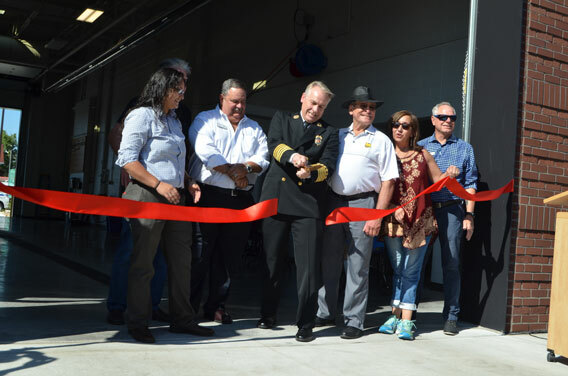 • City Center Phase I - Fire Station #1, Municipal Court, Council Chambers, GTV8, IT, storage and the Water and Sewer department administrative offices - ($27M) reserved from available Certificates of Participation. See financing details. This property was purchased to create temporary space for City offices while the first phase of the new City Center (City Hall) is being constructed. This block is also the new location for Fire Station #1. Construction was completed in Fall 2017 with a ribbon cutting on August 18. Take a peek at the action! City Center Phase I construction live images (updates every 30 minutes) and time lapse video.